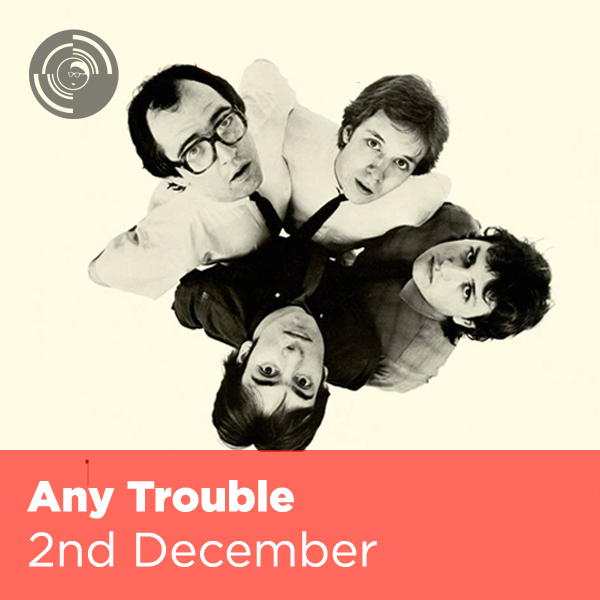 Just announced: Any Trouble, 2nd December. Any Trouble’s was a star that burned brightly, but not for long. In the early 80s they were a bright spot on Stiff Records, a label that had no shortage of talented artists. Mancunian frontman Clive Gregson’s appearance, hardened love songs, and vocal style led to comparisons to Elvis Costello and Ian Drury. Each of their four albums revealed a songwriter of unique talent and a more than capable band to execute the songs. Any Trouble released the bulk of their material between 1979-1984 when they split. Clive Gregson went onto a distinguished career as a solo artist and as a collaborator with Christine Collister. In 2007 the band reformed and released a new album “Life in Reverse”. Cherry Red recently released “The Complete Stiff Recordings 1980-1981” which shed a new light on this criminally overlooked new wave pop group. Sparse, tight guitar jangle and razor sharp hooks, these power poppers still sound fresh and fiery three decades on.